There are Our Personal Favorites! This list has some classics and some newer works. We update it periodically. 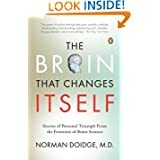 Mindsight: The New Science of Personal Transformation by Daniel Siegel (Random House, 2010) and The Brain that Changes Itself by Norman Doidge– two amazing books to help you understand your brain. Your Best Year Yet! : Ten Questions for Making Your Next Twelve Months Your Most Successful by Jinny Ditzler. A clear-cut guide to help anyone set aside three hours of their time and transform their life. Synchronicity: The Inner Path of Leadership by Joseph Jaworski. The Four Agreements: A Practical Guide to Personal Freedom by Don Miguel Ruiz. Positive Intelligence: Why Only 20% of Teams and Individuals Achieve Their Potential and How You Can Achieve Yours by Shirzad Chamine Leadership and Self Deception: Getting Out of the Box by Arbinger Institute. 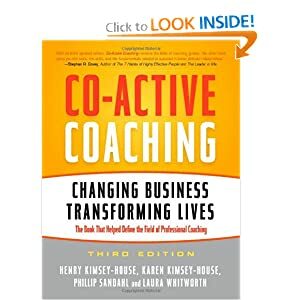 Co-active Coaching: Changing Business, Transforming Lives by Laura Whitworth et al. Includes the latest terminology and a variety of fresh coaching examples as well as a Coach’s Toolkit. Start-Up Nation: The Story of Israel’s Economic Miracle by Dan Senor and Saul Singer, 2009. A true celebration of the entrepreneurial spirit! Good to Great: Why Some Companies Make the Leap… and Others Don’t by Jim Collins. Harper, 2001. Press Release: Edelson finalist for “Coach of the Year” honors.